Student leaders will come together to learn new organizing skills, strategize for the coming year of advocacy through civic engagement campaigns and the legislative session, and get to know their fellow board members. This fun retreat is made up of two and a half rewarding days of training, workshops, and activities along with time to get to know your fellow students and OSA staff! Pay for your registration here! 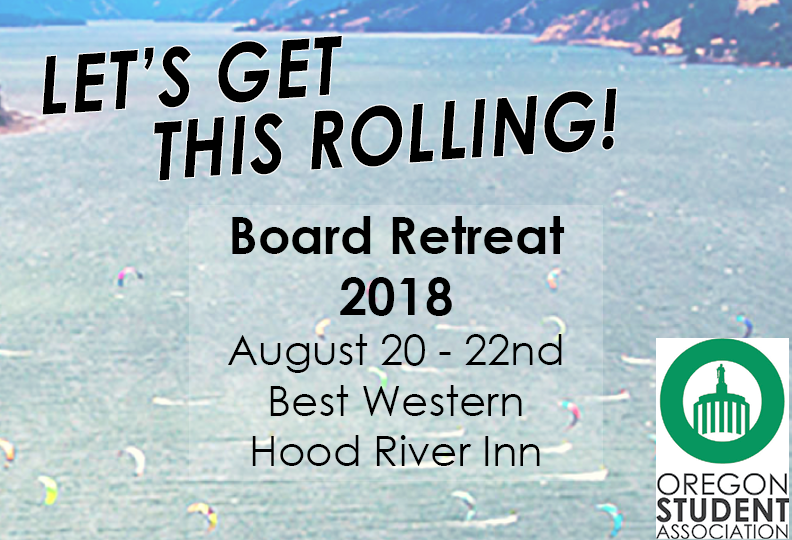 View the 2018 Board Retreat Agenda Here! If your group is staying at the Best Western Hood River Inn, their credit card authorization form can be found here.